She doesn't fit the "traditional" model. Oprah is one of the few people in the world who needs only her first name to call to mind any number of attributes: Powerful. Intelligent. Generous. Female. Black. And one word you won't find in that description? Wife. Oprah's 30-year relationship with partner Stedman Graham has long been held up as an example of women being amazing without a wedding ring — not to mention more than a few completely unfounded rumours about a lesbian relationship with her best friend, Gayle King. But in a new interview with Vogue, Oprah, 63, reiterates the very reason why they never got married: they simply wouldn't have worked out. "[If we had gotten married], we would not have stayed together, because marriage requires a different way of being in this world," she told the publication. "His interpretation of what it means to be a husband and what it would mean for me to be a wife would have been pretty traditional, and I would not have been able to fit into that." Oprah, who is joining "60 Minutes" in September as a special contributor, also told Vogue that not getting married taught her to "live life on [her] own terms." It's in a similar vein to what she's been saying for years, including in an intimate interview with Shonda Rhimes in 2015, where the women discussed why neither of them were married. 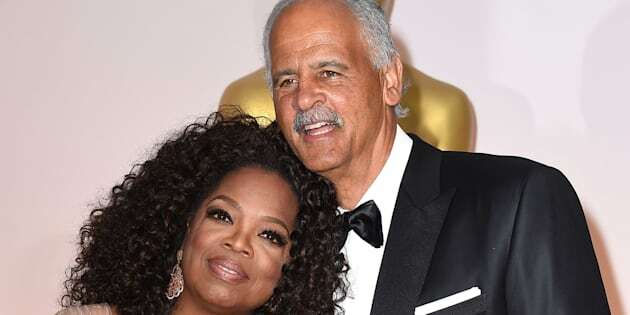 Talking about the time she and Stedman were actually going to get hitched in 1993, a plan that was prevented by a book project she'd been working on, Oprah recalled, "I really wanted to be wanted to be married to. I wanted Stedman to want to marry me. The moment he asked me to marry him I was, like... 'Now I actually have to get married?'" I could not have the life that I created for myself. I couldn't do it. Conclusively, she noted, had she gotten married, "I could not have the life that I created for myself. I couldn't do it." For his part, Stedman hasn't been cowed by Oprah's outsized fame in any way, noting to CNN in 2012 that he doesn't tie up his identity in hers at all. "I'm with a very special person who is ... she's just so unbelievable," he told Christine Romans. "But that has nothing to do with my life. That's her life. I just support her in her life. And she supports me in my life. "And so together, we're able to understand how it all works because we think, we work hard, we have own our passions. We have our vision. We have a plan. We have a process we can follow. We understand it." With 30 years under their belts together, they certainly seem to be doing something right.